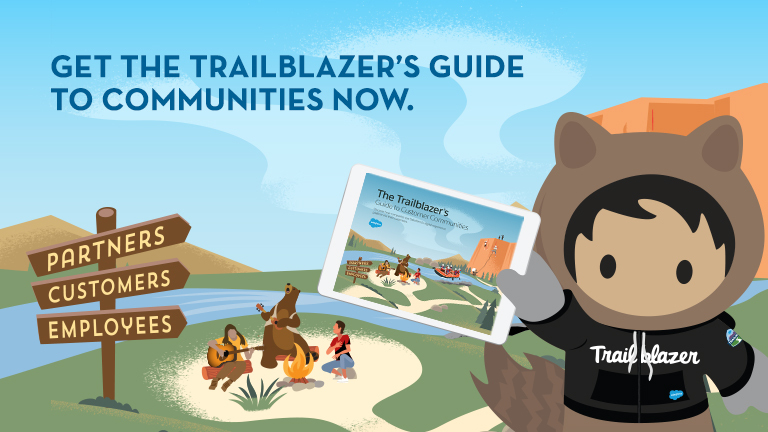 The Trailblazer’s Guide to Communities. Blaze new trails to unique digital user experiences. Now more than ever business leaders understand the need to move fast and keep everyone in their organization connected to the resources they need. Meet the Trailblazers who are creating captivating experiences and finding new ways to engage customers, empower partners, and inspire employees. And learn how Community Cloud can help you do the same.